Last month, I took a look at just a few basic things you can do with NFC tags and a capable phone. 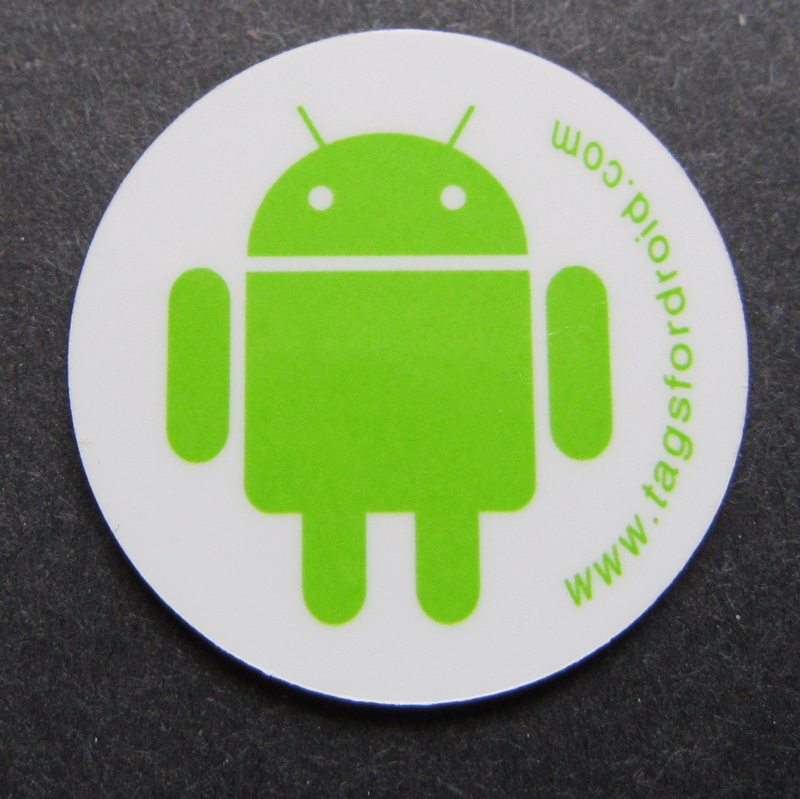 The possibilities of things that you can do with NFC are only limited to your own ingenuity, and we've teamed up with TagsForDroid to help you get started playing with this amazing and fun technology. Like I said, those are just some of the more basic things that you can do with NFC. When combined with the power of Tasker, it really opens a whole new world of automation. This giveaway is sponsored by TagsForDroid, a go-to place for all things NFC. 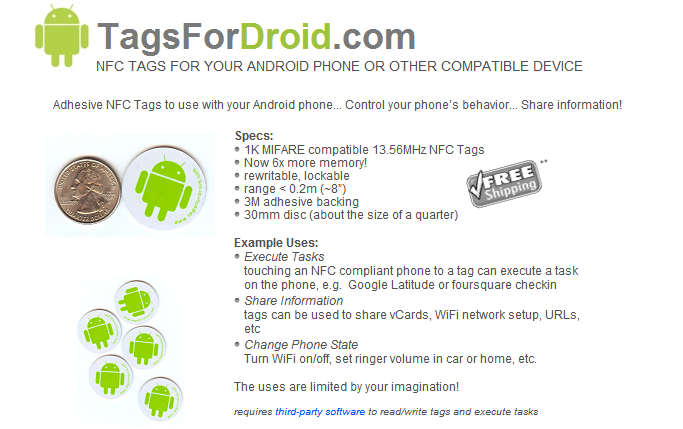 They offer both Android-ified and plain white tags for all of your NFC needs, ranging in packs from two tags, up to twenty. Currently, if you buy a ten pack or larger, you'll also score a free NFC keychain, which is perfect for launching on-the-go tasks at the gym, in the car, or anywhere else you may need it. Ah, the reason why you're here: free stuff. Here's the skinny: we're giving away ten packs of five tags plus one NFC keychain each to ten lucky winners. So, how do you enter? Drop us a line in the comments telling us how you'll use the tags to automate things in your life? Will you use the tags for a profile in the car? How about a nighttime profile before bed? Or something more intricate? Whatever the reason, just let us know. The giveaway begins immediately and ends on Sunday, June 3rd at 11:59 PM PT, at which time the winners will be chosen at random and notified.